The company is planning to set up eight new centres across these five cities taking its total portfolio to 63 centres with 30,000 seats across 10 cities. 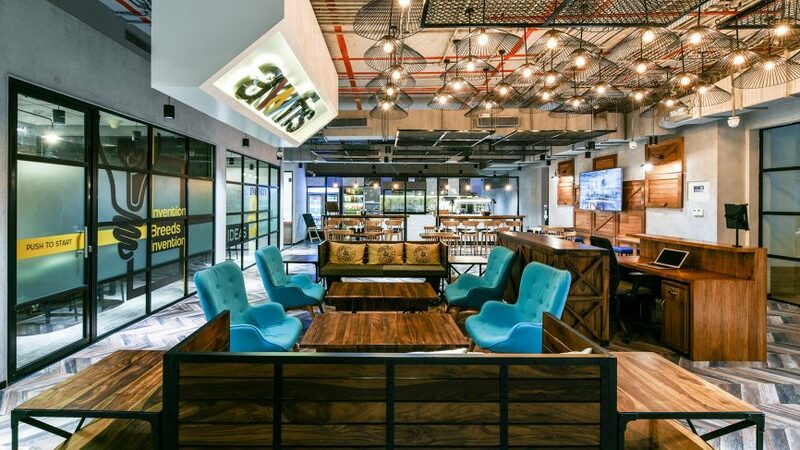 India’s largest home-grown co-working space provider Awfis Space Solutions has picked up 3 lakh sq ft of office space in Pune, Bangalore, Gurgaon, Noida and Chennai on a long-term lease to continue its aggressive expansion across the country. The company is planning to set up eight new centres across these five cities taking its total portfolio to 63 centres with 30,000 seats across 10 cities. Total tenure of these leases range between five year and nine years. The proposed expansion is in line with Awfis’ definite growth strategy of doubling seats every year to reach the 2 lakh seats milestone by 2021. Currently, Awfis is India’s only co-working space provider with a nation-wide network of 63 centres across 10 cities. The company recently raised $20 million in series C funding from its existing investors global venture capital firm Sequoia Capital, The Three Sisters: Institutional Office (TTS:IO) led by Radha Kapoor and Temasek Group company InnoVen Capital to support the growth plan. Before this, the company had raised $31 million through two rounds from TTS:IO and founder Amit Ramani. In its maiden exposure to the company, the California-based Sequoia Capital invested $20 million in the company. The latest funding will be to support the company’s next phase of growth. Over the last one year, it has already increased the presence to 25,000 seats across 55 centres spread over nearly 1.7 million sq ft. The company’s additional 8 centres will get operational in 45 days taking total space to 2 million sq ft.
Awfis has grown its revenue four times for the year ended March 2018 from March 2017 and expects to clock revenue worth Rs 170 crore in the current financial year. “Co-working has truly proved to be a game-changer for the commercial real estate sector in India. Awfis’ aggressive growth is a huge testament to the evolution of this segment – not just in Tier I cities but also in Tier II cities. Our flourishing business development strategy and the positive market response to our centres gives us great confidence to keep doubling our capacity every year,” Sumit Lakhani, chief marketing officer, Awfis, told ET. While several other co-working space providers have resorted to large hubs, Awfis has preferred to spread across more cities and locations with moderate size of centres. The company’s largest co-working hub with 850 seats is in phase II of Hyderabad’s Hi-Tech city. 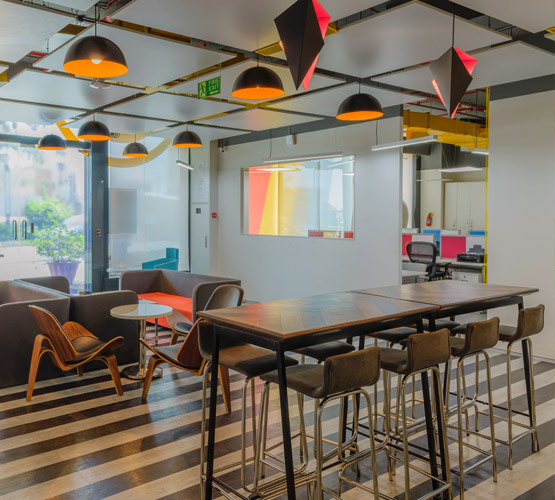 The demand for co-working spaces or shared offices is gaining momentum across the country and as many as 13 million people, equivalent to the current population of India’s Silicon Valley Bengaluru, are estimated to work out of such facilities by 2020. India’s largest shared workspace provider, Awfis has launched its first co-working space in Chandigarh, Mohali region. 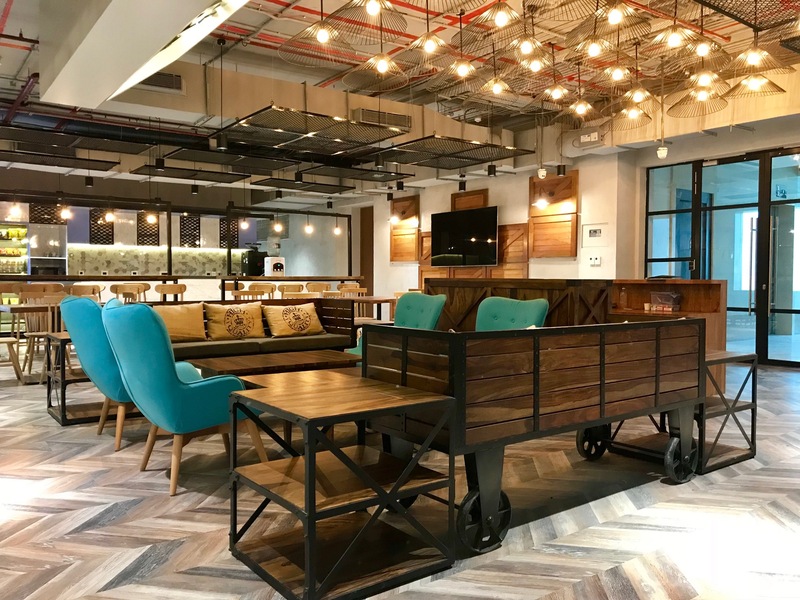 The co-working facility is spread across 15,000 square feet and is capable of seating over 300 customers and eyes to expand further in the region in the next 10-12 months. “Coworking became a global phenomenon in 2010, but it’s only in the past 3 years that the demand for shared workspaces in India has seen unprecedented growth. Tier 2 markets are projected to grow to 8.5 mn seats by 2020 owing to the steady growth of entrepreneurial spirit in these cities, thereby, creating the demand for affordable Grade A coworking spaces,” Amit Ramani, Founder & CEO, Awfis said. Besides Chandigarh, Awfis also aims to expand to other Tier 2 cities such as Ahmedabad, Jaipur, Kochi, Indore, and Bhubaneshwar and aims to establish 100+ centres with 50,000+ seats across Mumbai, NCR, Bengaluru, Chennai, Hyderabad, Kolkata, Pune and Zirakpur in the next 12 months. “Tier 2 cities are geared to lead the next wave of economic growth of India in the coming years and are providing a favourable environment for start-ups, SMEs & large corporates to either set up their base or expand their footprints,” Sumit Lakhani, Chief Marketing Officer, Awfis said. Backed by marquee investors like Sequoia Capital, TTS:IO and InnoVen Capital, Awfis currently has a nationwide network of 55 centres with over 25,000 seats across 9 cities and 45 micro markets. Monday meetings were a bother for HR professional Runu Mehta. Her team of 16 would sit for two hours and discuss what they did over the weekend. Deciding to do something different, she took away the chairs from the meeting room. “I made these meetings standing-only and found that the meeting time reduced to 30 minutes!” said Mehta, now head of learning and development at music label Shemaroo. Standing meetings and standing desks have become popular over the past few years, not just because they increase productivity, but especially because of the perceived health benefits. “Sitting is associated with the risk of hip, knee and neck pain as muscles in those areas are in a locked position,” said Dr Balvinder Rana, additional director at the Fortis Bone and Joint Institute in Gurgaon. Gunasekaran Jayaraman, CEO of ergonomical furniture startup Purpleark, said 20% of his retail customers get standing desks because their doctors suggested it. “Using a standing desk has helped me focus better and I’m also sleeping better,” said Ayush, a software engineer at an ecommerce company who stands and works for 4-5 hours a day. A year-long study by Loughborough University and University of Leicester found that people using standing desks reported less anxiety than those who used regular desks. The researchers surveyed 146 officials in the UK’s National Health Services, 77 of whom were given sit-stand desks while the control group of 69 employees had regular desks. In India, one of the major drivers of this trend is international exposure. “An executive goes abroad and he sees offices there using standing desks and so he comes back and wants one,” said Jayaraman. He said that sales have gone up almost fourfold month-on-month for the past six months. In India, multinational companies are driving the trend, according to Jayaraman and office furniture company Steelcase. Microsoft procured these desks for all its offices in the country after studying how employees used workspaces and what they needed to become more productive, said Marianne Rathje, director of real estate and facilities (Asia Pacific) at the company. “The idea is to increase collaboration, creativity and productivity and make employees feel like part of a more relaxed, creative enterprise,” said Rathje. The company’s employees had an orientation programme to introduce them to the benefits of standing workstations. “These are extensively used and employees love the flexibility to use their spaces the way they need to,” she said. IT Company Infosys has acquired these desks on an experimental basis, said HR head Richard Lobo. Companies that don’t want to disrupt their workplaces can “convert” their regular desks to sit-stand desks. Some companies place a few standing desks on each floor so that employees can occasionally work there. The popularity of these desks outs ide the corporate environment is still in its nascent stages, although the trend seems to be picking up. Co-working space Awfis has 50 such desks out of the 25,000 or so it has in total. Awfis CEO Amit Rarnani, who uses a standing desk, procured them after his customers asked for them. This year, he introduced standing-only meeting spaces in his office in Powai. “They’re very popular, especially with the young generation, as meetings are much quicker,” he said. According to Rarnani. Standing meetings will become the order of the day in four or five years as mobiles replace laptops, making sitting in one place unnecessary. Still, there is such a thing as too much standing. “Standing for more than 5-6 hours a day can lead to blood pooling in your legs. This can cause swelling, ankle pain and varicose veins,” said Dr Rana. That’s why engineer Sumit Chuttani uses a standing desk at his workplace only once in two weeks. “It’s good to stand and work, but only for a few hours. Not the whole day,” he said. For those with sedentary jobs, the best strategy is to alternate between sitting and standing and doing back-strengthening exercises.